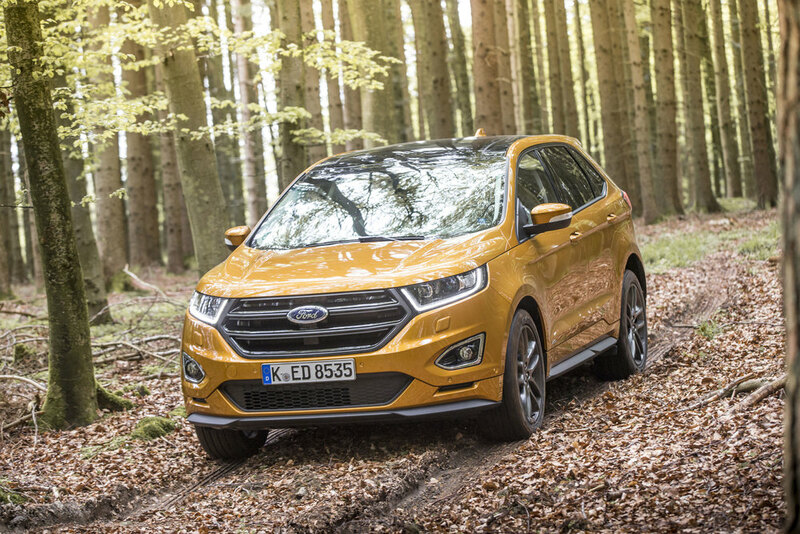 The Edge is a large (Mondeo-length) five-seater that will sit at the top of Ford’s SUV line-up in the UK, above the mid-sized Kuga and the entry-level Ecosport. As with the Mustang, I’m pleased to report that the styling is is likely to appeal to European tastes, despite the design having been carried out Stateside. 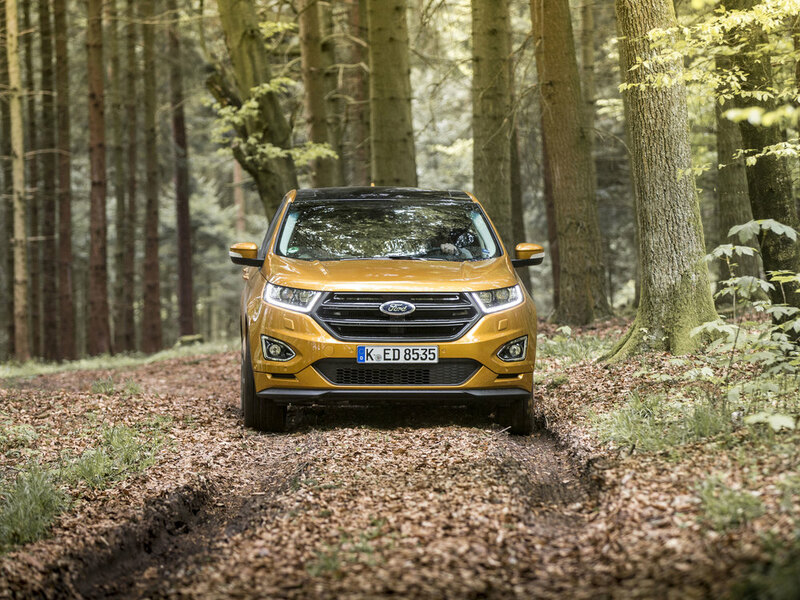 The Edge looks suitably tough and imposing on the outside, but not in the least bit clumsy - a very well judged execution adding an air of refinement and sophistication to this hefty SUV. The interior is also smart but the quality of the materials is rather hit and miss. The key touch points like the seats, the steering wheel and gearknob feel fine but some of the other plastics are a bit of a let down. The lid of the storage compartment on the top of the dash feels disappointingly cheap to the touch and while one expects a lower grade of plastic on the door bins, it still seems poorer than expected. Space in general is an Edge strong suit. As a dedicated 5-seater it comfortably accommodates passengers, luggage and plenty of other paraphernalia within its 4.8m length. There are lots of cubbies throughout the cabin and the compartment in the centre console between the front seats is possibly the largest and deepest I’ve ever come across. The boot capacity is 602 litres with the seats in place, but a push of a button drops them to expand this to a massive 1,847 litres in 2-seat mode. Power comes from a choice of two 2-litre TDCi Diesel engines: a 180PS unit mated to a 6-speed manual gearbox or a 210PS bi-turbo fitted with a 6-speed Powershift automatic. Both engines, when fitted to vehicles riding on 19” wheels, deliver CO2 emissions of 149g/km and combined fuel consumption of 48.7mpg. Upgrading to the larger 20” wheels (standard on the Sport) alters the figures to 152- and 47.9- respectively. I first tried the lower powered version in Titanium trim and found it to be a relaxed and quiet cruiser. The cabin is well insulated, the seats are comfortable and the ride quality, albeit on carpet smooth German roads, was very good. The manual gearshift was light and precise but the steering was lacking in feel and a little too aggressive in its self-centring tendencies. Through the twists and turns, you become aware of the sheer size of the Edge. 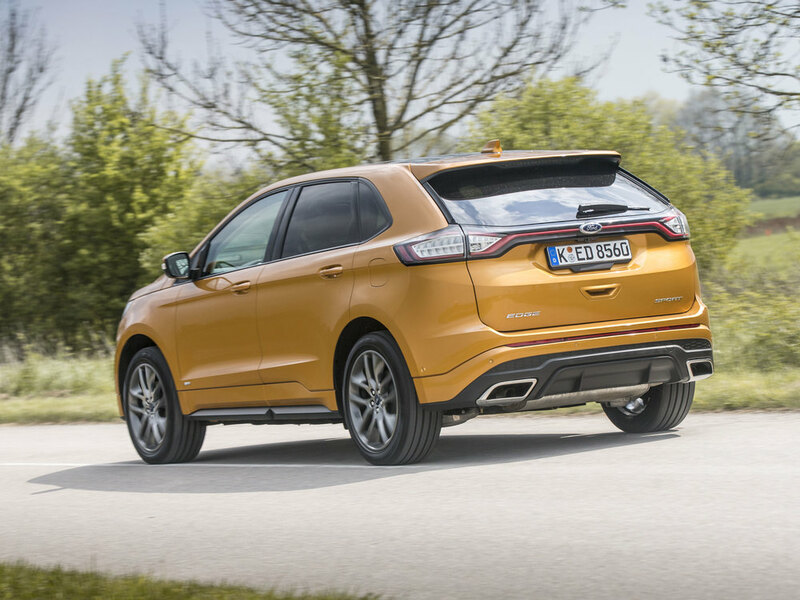 Both its bulk and, under braking, its high centre of gravity are evident and it lacks the composure of some of its rivals. It can be hustled along but it falls short of delivering anything like a rewarding drive, although its permanent four wheel drive does provide extra reassurance on slippery surfaces like some of the ones we encountered due to some fierce downpours during our test. 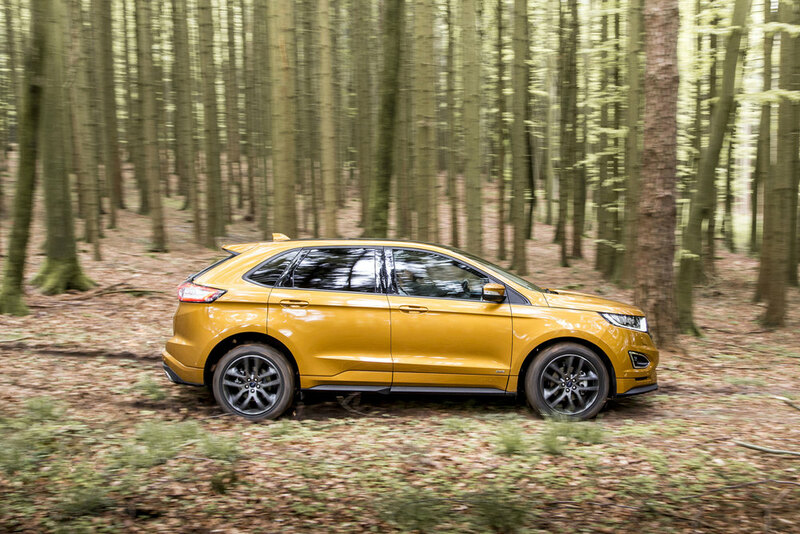 The higher-powered version in Sport trim comes fitted as standard with adaptive steering and this is a distinct improvement over the standard set up. Although Ford’s engineers tell us that the hardware is the same, it is modified by additional electronic wizardry housed within the steering wheel itself. It doesn’t have a huge effect on the feel, but it's not quite as insistent in returning you to the straight and narrow. 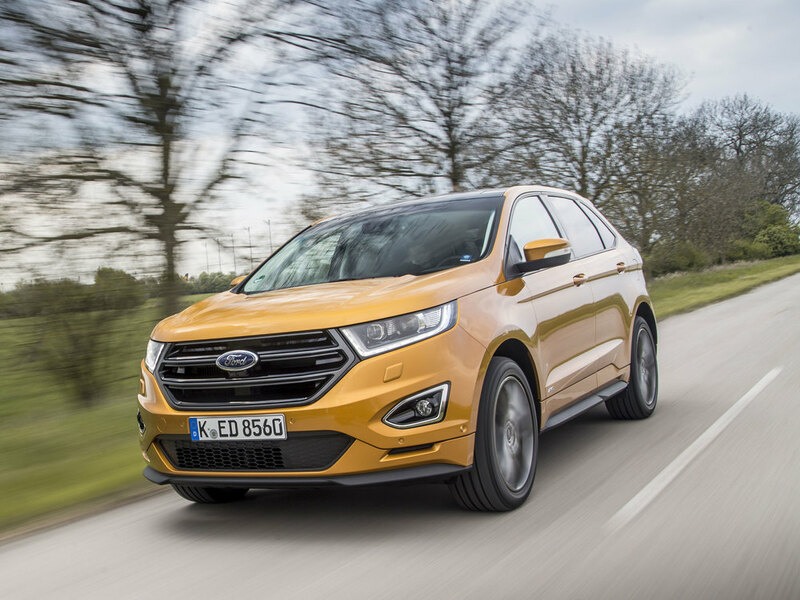 Both engines feel sufficiently lively, packing enough punch to shove Ford’s flagship SUV along at a decent pace and the performance figures are fairly similar. Top speed for the 180PS model is 124mph with the sprint to 62mph covered in a whisker under 10 seconds, while the 210PS version is half a second faster to 62mph (9.4s) on its way to a flat out maximum of 131-. The decision on which engine you go for really depends on whether or not you need an automatic gearbox, since this only comes with the bi-turbo version. Prices start from £29,995 for the Zetec model which comes equipped with 19” alloys, a colour touchscreen with Ford’s DAB Audio and SYNC 2, a rear view camera, auto lights and wipers, a heated windscreen and privacy glass - but no satnav. An extra £2,250, however, will get you into the Titanium model which has the satnav as standard as well as a few more toys like the handsfree power tailgate, front and rear parking sensors, heated front sports seats, acoustic side glass and lashings of chrome. Topping the pile is the sinister-looking Sport, priced from £34,500, which comes with larger 20” alloys finished in black, complemented by black roof rails (unless you get the optional panoramic roof) and unique body styling with dark detailing. 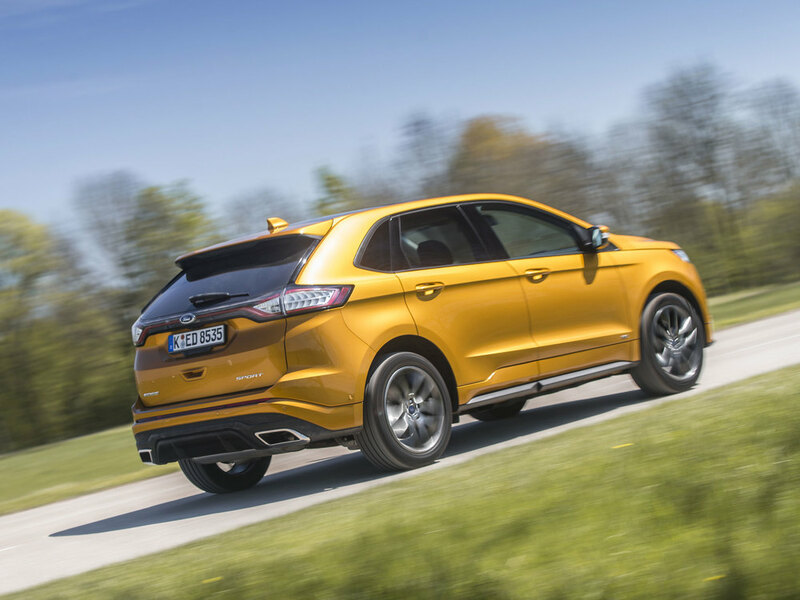 It also features sports suspension, the adaptive steering and an upgraded Sony DAB satnav with 12 speakers. 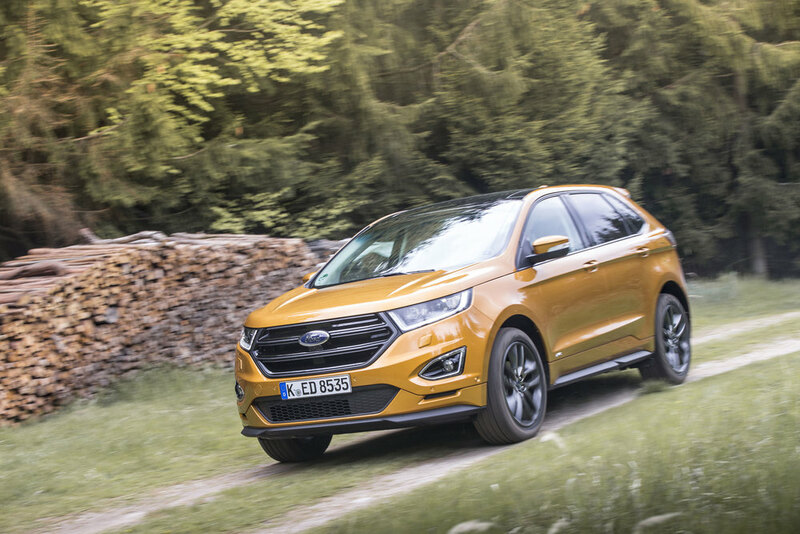 In terms of rivals, Ford would like buyers to see the Edge as the latest thing in premium SUVs, but for me it falls short in the quality stakes against key German SUVs from the likes of Audi, BMW, etc, – but that doesn’t make it a bad car, especially given its price advantage. 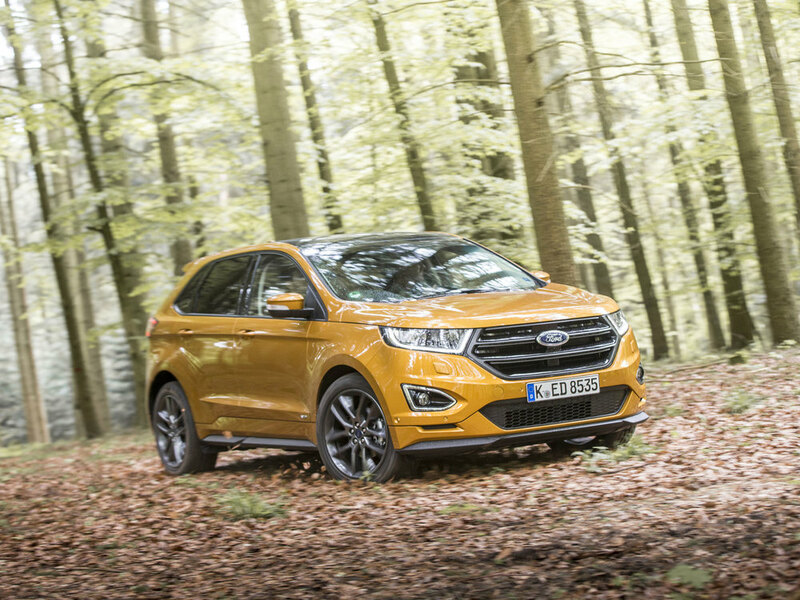 Buyers focusing on price and value might more realistically compare the Edge to the likes of the Hyundai Santa Fe, Kia Sorento and Nissan X-Trail. 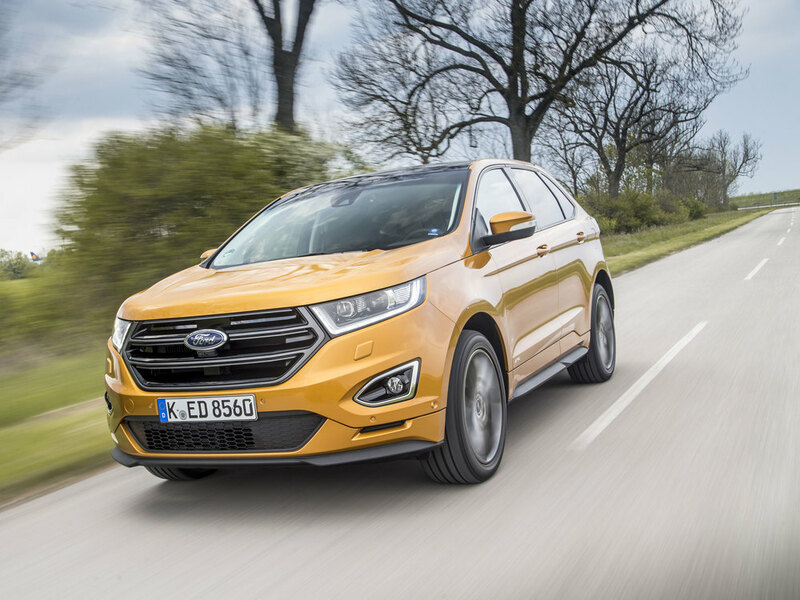 Each of these can offer seven seats and more frugal two-wheel drive variants, but in sticking to a five seat only configuration with permanent all wheel drive, Ford can differentiate the Edge as more of a lifestyle choice, given that both the S-MAX and Galaxy already cater to customers who need to put more bums on seats. 500 have been sold already and a further 60,000 configured online so initial interest appears to be healthy. Whether this can be sustained and translated into significant sales volumes remains to be seen. 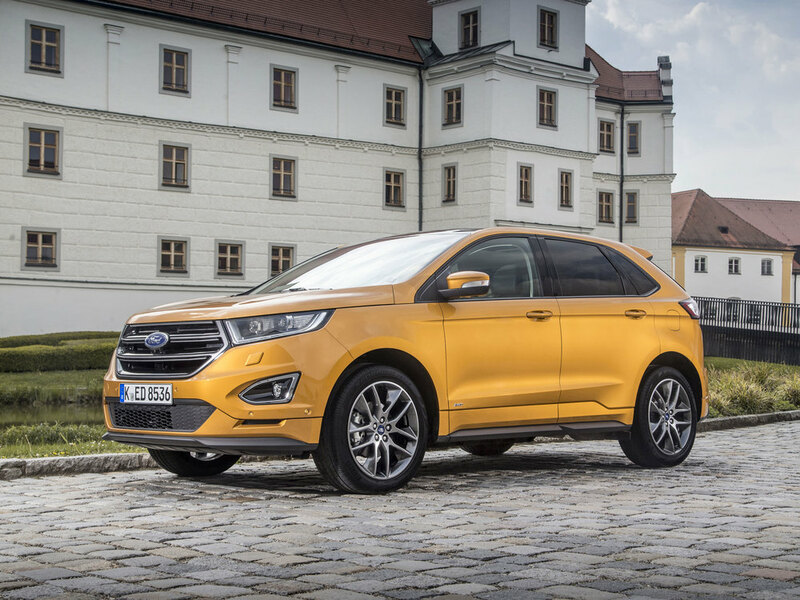 Given Ford’s recent ‘Unlearn’ campaign, SUV buyers may require some re-EDGE-ucation.